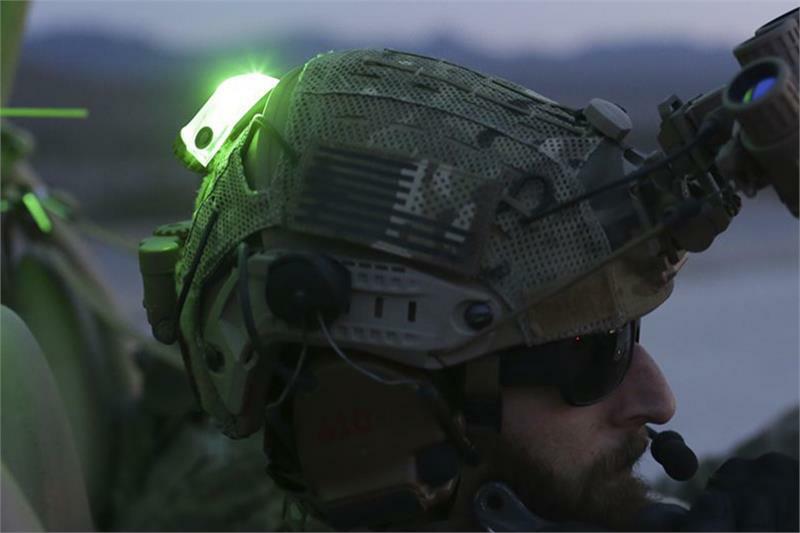 The Manta’s base is specially shaped to fit the curvature of modern combat helmets. But, it will also adapt to non-ballistic helmet shells. A major benefit to the Manta is its operation modes. It will always turn on in infrared mode to prevent accidental discharge of white light. Two side buttons require deliberate action at the same time to activate the visible strobe. This layout greatly increases operator safety in the field. 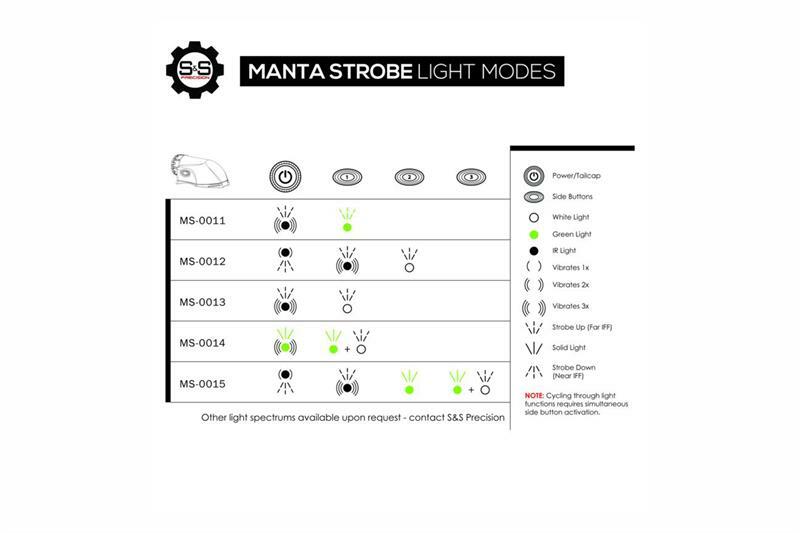 The Manta is a very innovative infrared strobe. It looks nothing like any other device on the market. The form factor sweeps back with no protruding edges, greatly reducing a snag hazard. 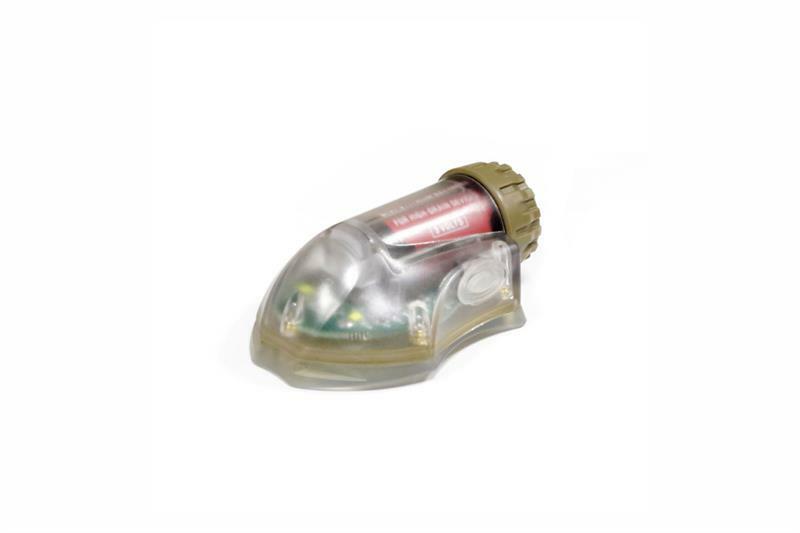 The tail cap is easily found and activated, even with gloves. 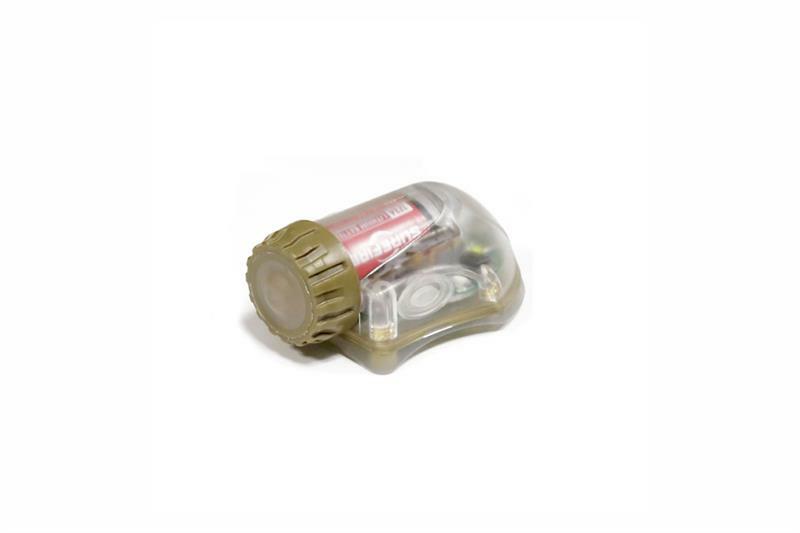 When the unit is initialized, a tiny motor vibrates three times to let the operator know the strobe is active.